… that’s how someone described a first time encounter with Africa. I recall my first day in Bulawayo standing on the pavement outside a courier’s office where my colleagues were spending considerable time. They were hopefully negotiating the reduction of storage fees for a box of solar lights that had been mailed over to assist students in night time studies. I found the sights, sounds, smells and sights of the street rich and varied – a surprise for every time I blinked. Such was my fascination I had a hard time looking bored and nonchalant, trying not to stand out as I leaned against a verandah post. The shop facades across the road were grand and faded and with impossible names. A kaleidoscope crossed time and took me back into the fifties of my childhood when shops were called emporiums and mothers dressed up with hat, gloves and handbag for their buying expeditions. The chirrups of mobile phones brought the contemporary into the vintage street scene which now included donkey carts, high fashion and rustic personalities bearing heavy looking sacks on their heads. 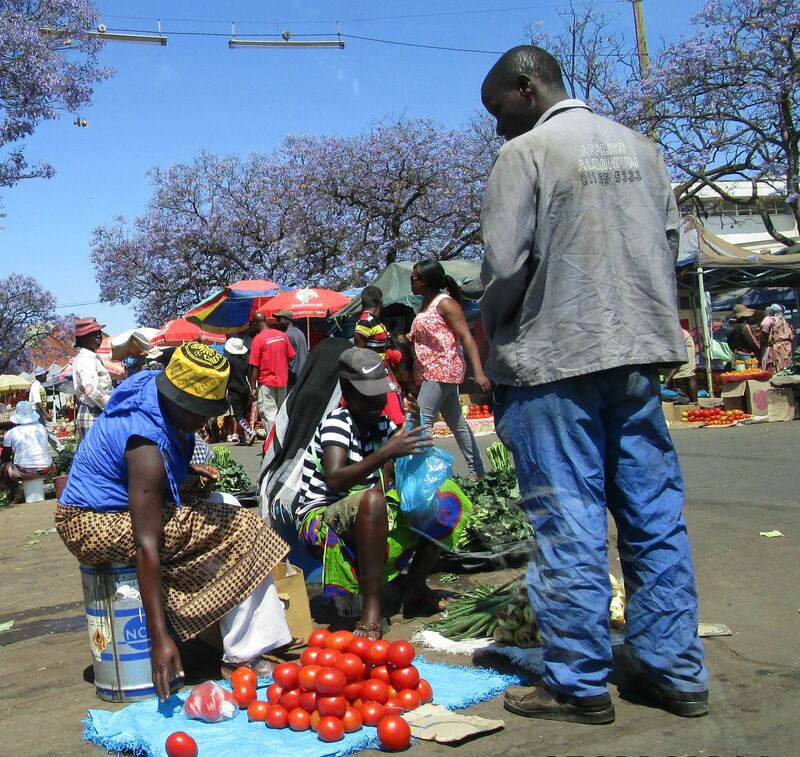 I could have stood there for hours, just absorbing the street scene with its vibrant colours, its mixed aromas of spice, jacaranda and donkey dung – and the wonderful sounds of Shona speech and cowbells while an ox wagon trundled by. Africa was getting into my blood stream.